Artist Esther Mahlangu (b. 1935) with the BMW Art Car 12, 1991. Esther Mahlangu (b. 1935), BMW Art Car 12, 1991. © Esther Mahlangu. Photo © BMW Group Archives. In 1975 the French racing driver and art auctioneer Hervé Poulain approached BMW with the idea of inviting eminent artists to transform its cars into works of art. Art Cars were created by world-famous artists such as Andy Warhol, Roy Lichtenstein, Frank Stella and Alexander Calder. 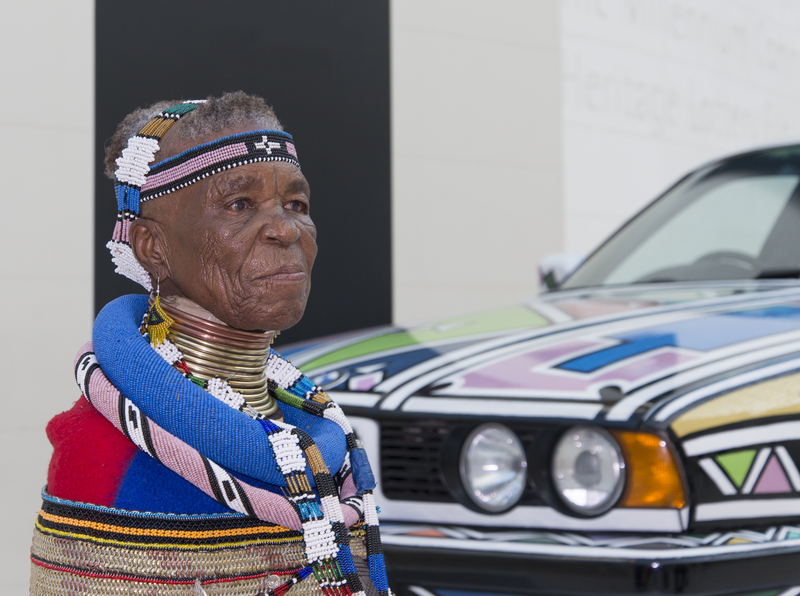 In 1991, as apartheid legislation was being repealed, BMW commissioned Esther Mahlangu to create an Art Car to mark this historic moment. Mahlangu’s Art Car draws on her South African Ndebele heritage and her established practice of transposing Ndebele house-painting designs on to new canvases. Under apartheid the Ndebele were forced to live in ethnically defined rural reserves – their designs are an expression of cultural identity, and can be read as a form of protest against racial segregation and marginalisation. In response to losing their ancestral lands, Ndebele women began to make distinctive beadwork for significant events, artworks that identified the Ndebele as a separate cultural identity. 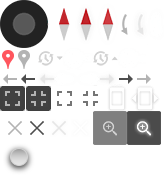 In the 1940s, the Ndebele adapted these designs and painted them on their homesteads. Flickr – Francisco Javier Garcia Orts. Mahlangu’s Art Car can be seen as building on an Ndebele artistic tradition that emerged to define and communicate a cultural identity, first in beadwork, then in house painting, and subsequently on canvas. Her work illustrates how local artistic traditions can be used to engage with contemporary political situations and events in ways that communicate cultural and political identities to global audiences. See Mahlangu’s Art Car on display in the Great Court, part of our exhibition South Africa: the art of a nation (27 October 2016 – 26 February 2017).